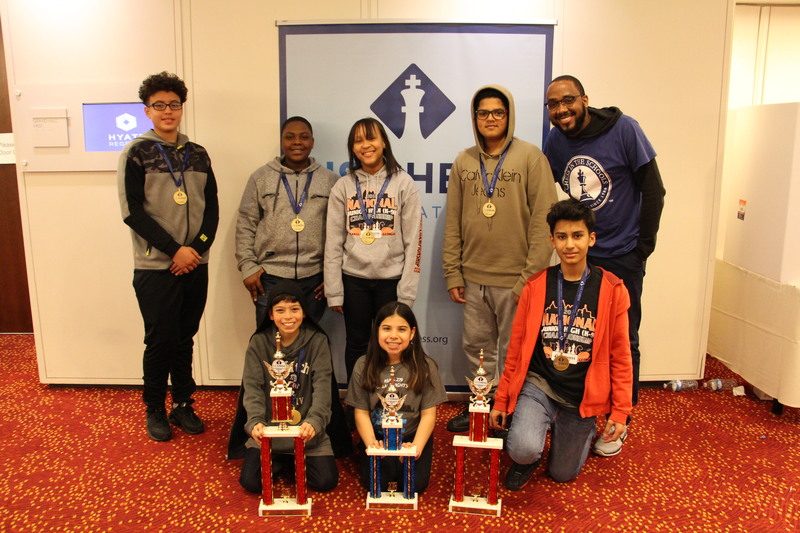 Over 100 Chess in the Schools students competed in the 2018 JH Nationals in Atlanta, GA. 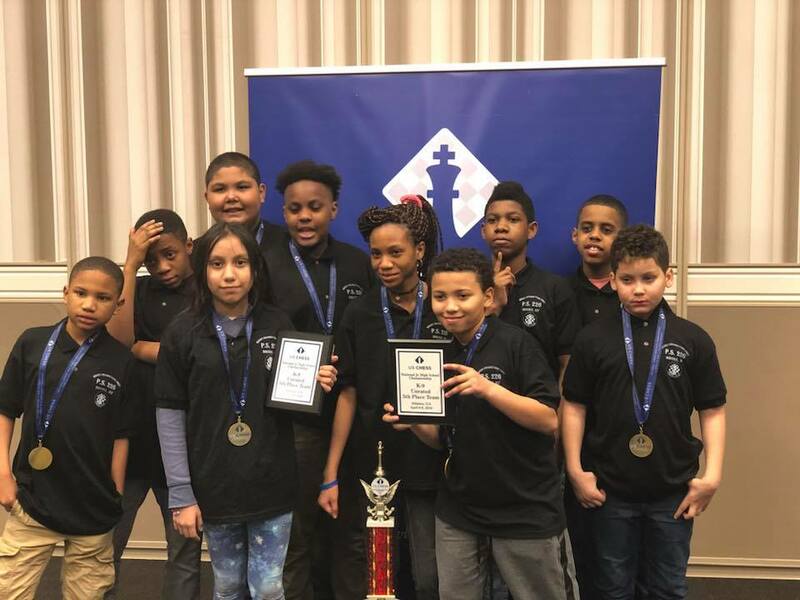 Chess in the Schools also saw many of over regular tournament schools in attendance! 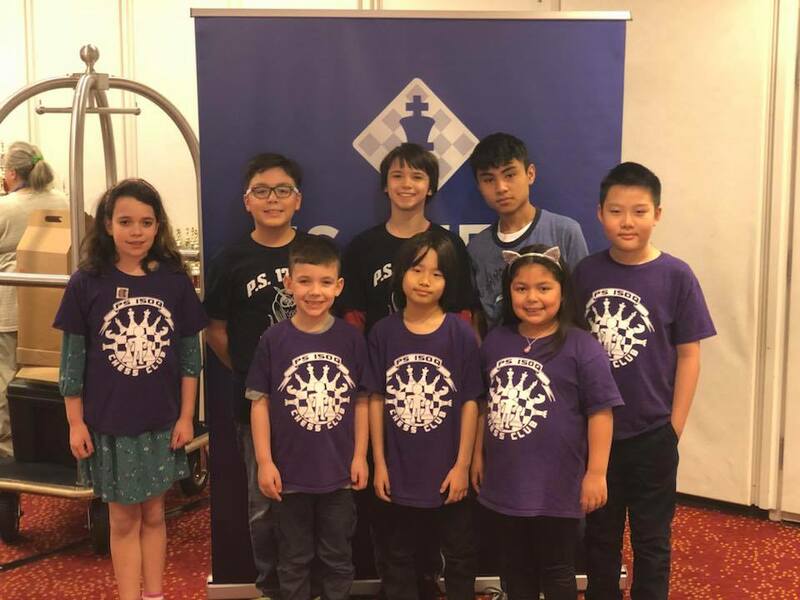 CIS congratulates the following CIS schools: 503K, 126K, 150Q, 226X, 279X, and 390X for participating in this year’s USCF JH Nationals! We also congratulate a regular attender of CIS tournaments: 318K on winning the K-9 Team Championship. 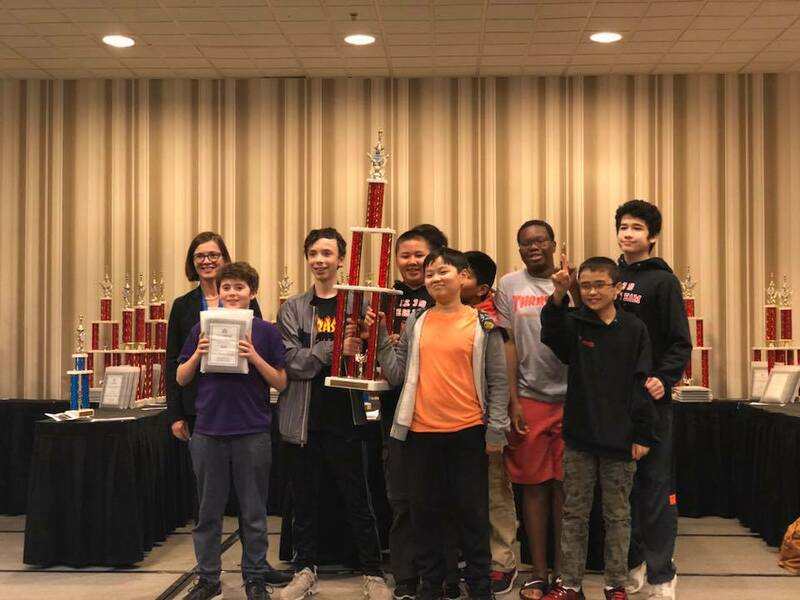 126K – 15th Place U1000, 9th Place U750, 3rd Place Unrated. 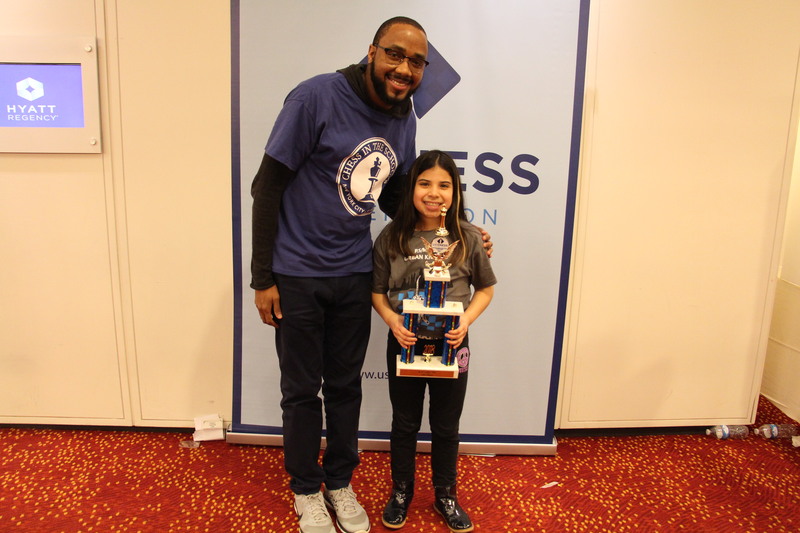 CIS Coach: Tristan Stovall with student Briana Parrales, Briana went 6-1 in the tournament and shared her favorite game with us. 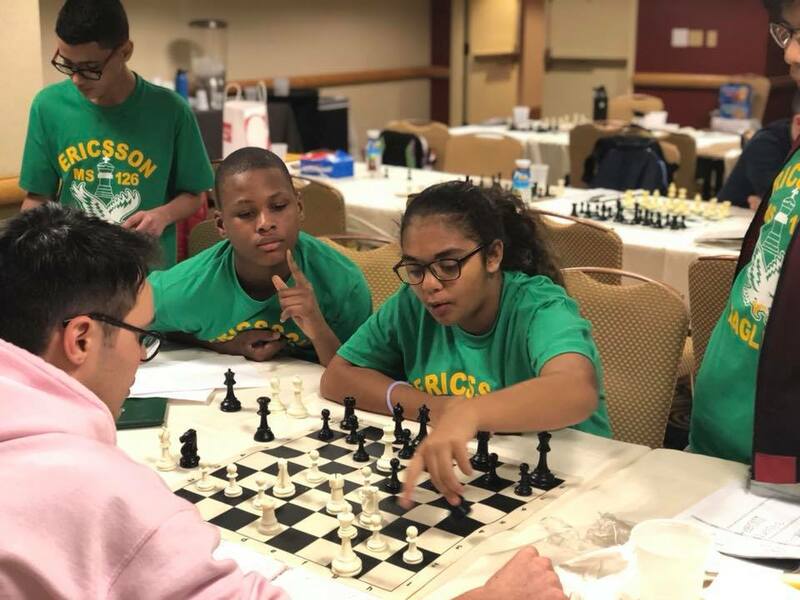 Briana was playing Black in the follow position and found an amazing move to finish off the game! 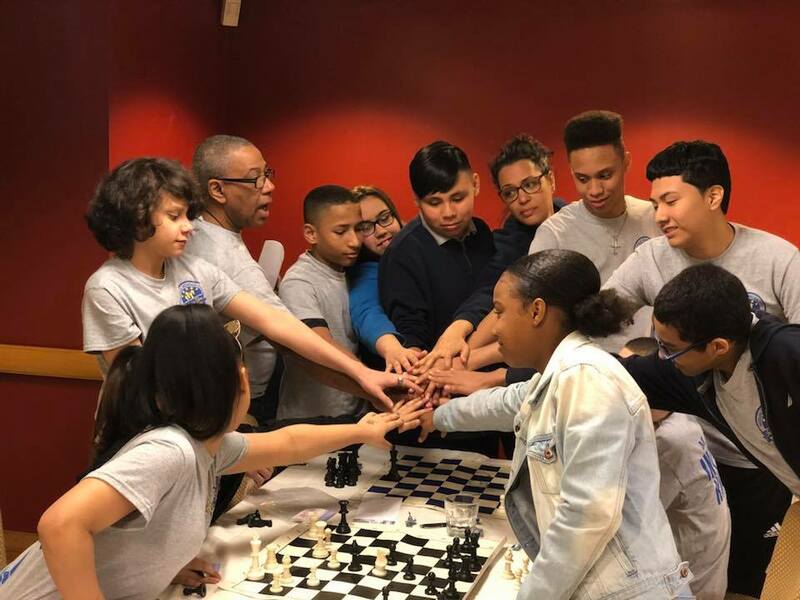 White found themselves in trouble as the threat against the Queen along with the threat of back-rank checkmate were too much to overcome. The finish is a classic tactic! 20. … Bxf2! (The Queen is pinned and cannot capture, so the King must move away and there is checkmate on the next move! 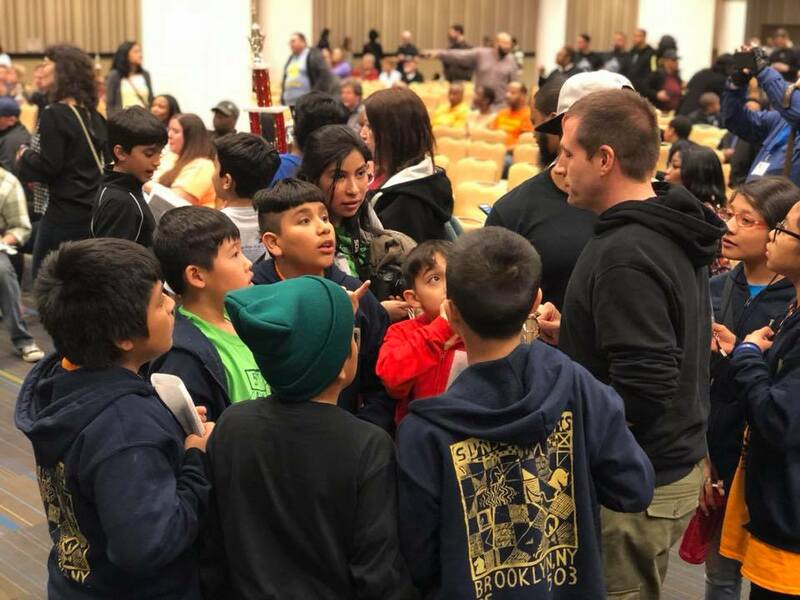 Briana had a tournament to remember! 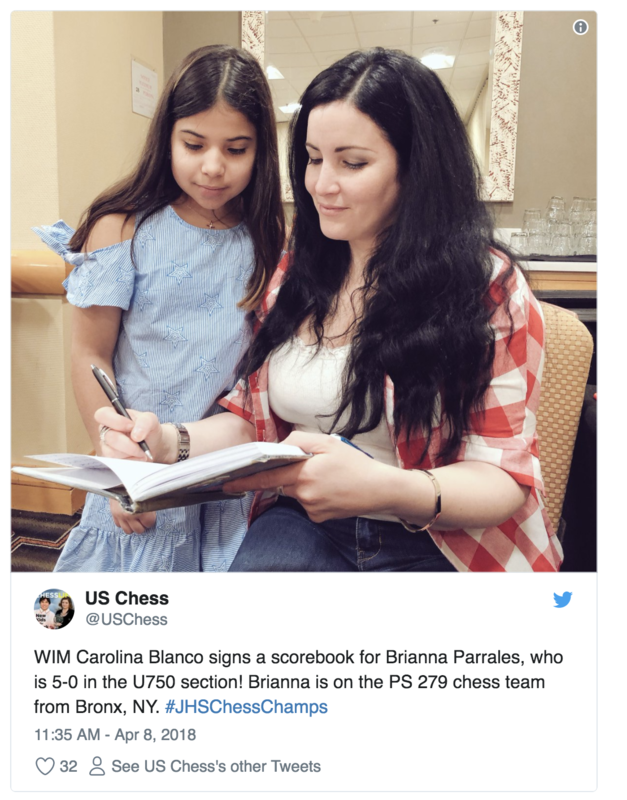 She was even “tweeted” in a photo by the USCF with WIM Carolina Blanco!